Eastside Lumber & Decking offers a variety of composite decking options. Composite decking is an attractive, very low maintenance alternative to natural wood decking. In general it is made of a combination of wood fiber and polyethylene, thus the name composite decking. The wood fiber content is there for stability, ensuring that the boards do not expand and contract with temperature as a solid plastic deck would. The poly content adds durability, longevity, and a base for a color. The combination of the two makes for a good looking, durable, virtually maintenance free deck. First generation composite decking is a thoroughly homogenous board, with the inside and outside having the same composition. This results in a long lasting, low maintenance, low initial cost deck. Eastside Lumber & Decking offers several options of first generation composite decking, each with its own unique features. Examples of first generation composite decking are the Trex Accents line, the Evergrain Decking line, and the Moistureshield Decking line, each of which is an excellent choice for a budget minded composite decking shopper who still wants a beautiful, durable, very high quality deck. The most significant change in manufacturing of composite decking since the very early days has recently resulted in the second generation composite decking lines. Some complaints about first generation composite decking have been color fading, scratching, and staining. These problems have been greatly reduced in second generation composite decking. Generally, second generation composite decking consists of a composite core, which is capped by a layer of harder, denser polyethylene on the surface. This harder surface is much more difficult to scratch, non-porous and so will not stain, much more fade resistant, and can be made to mimic the subtle variations in color of real wood. The result is a more beautiful, even lower maintenance, even more durable deck. 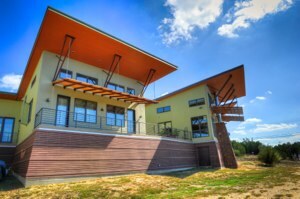 Examples of second generation composites sold by Eastside Lumber & Decking are the Trex Transcends line, and the Fiberon Horizon line. Composite decking will add beauty, usefulness and enjoyment to your outdoor spaces for many years to come. 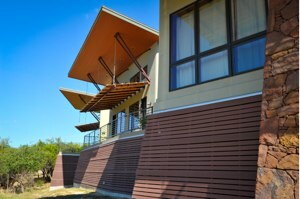 Read more on our composite decking austin page – http://www.eastsidelumberaustin.com/composite-decking-austin, or call or contact Eastside Lumber & Decking at 512-492-3950 with any questions you have about composite decking.